Do you sell any items that are considered craft supplies? Then your shop will be included in Etsy Studio. There is the Etsy we all know and love (well, usually). And now there is Etsy Studio, which is just for craft supplies. They are separate markets, each with its own website. Etsy Studio is an offshoot from Etsy, but still part of the website. Etsy hopes it will become the "go-to destination for craft supply enthusiasts." Have you taken a peek at your new Etsy Studio shop? It IS different. How so? 1. Etsy Studio has a plainer, more streamlined look. 2. There is no banner or cover, less individual shop branding. 3. Shop sections are not displayed. Instead, Etsy's categories will be displayed. 4. There is no favoriting of items on Etsy Studio. 5. Item photos are arranged differently. 6. Instead of a cart, you have a basket. 7. Individual items can have ratings if previous ones have been sold and rated. 8. Money order, check, and other forms of payment (like trades) are not accepted on Etsy Studio. 9. The item description is truncated. 10. You can sort feedback by star rating. 11. Attributes act like tags in ranking for search results. 13. There are no shop updates. 14. There is no shop rearrange function. 15. Craft projects are integrated into (and integral to) Etsy Studio. 16. Items can have designations as handmade, vintage, recycled and organic. Here is Etsy's definition of "recycled." See the sewing sub-categories on the left? Shop names are not displayed in search results. 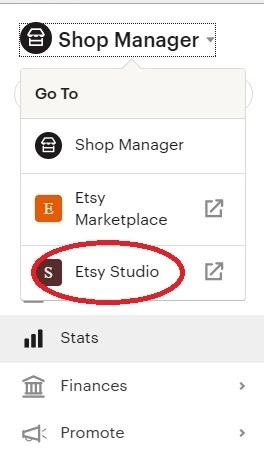 Regarding SEO, from admin: "For Etsy Studio's search ranking, previous listing performance on Etsy will be considered in search placement on Etsy Studio, including views and sales along with listing specific reviews. One important difference is that listing favorites don’t exist on Etsy Studio and so do not count towards search placement." "Adding listing attributes helps buyers find your items by more specific item qualities such as size, color and material. These listing attributes along with titles and tags will continue to be important for search on Etsy Studio." "Etsy Promoted Listings will work similarly on Etsy Studio as they do now on Etsy." 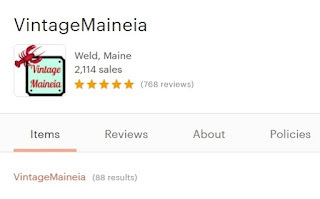 Individual item feedback is displayed on Etsy Studio. Take note of any listings with low feedback ratings. Avoid "renew sold" for those listings. Rather, consider "copy listing" to shake the negative feedback. Of course, your item feedback will then read zero. Our shop avi is front and center on Etsy Studio. Attributes are scheduled to go live on Monday, March 27. Make sure your store avi looks good in the new format. There is no banner or shop cover in Etsy Studio. Check your item categories. They will be displayed. Etsy auto-changed some. Below is a summary of these changes. The complete list of the seller categories is here. Are you excited about Etsy Studio? I know that some of my items will be on the site. I hope it does well.